Have a Marketing Manager who genuinely cares about your business and it's success ! Save precious time and agony over placing your own ads on Gumtree. With over 7 million prospective customers viewing the site every week, it's makes perfect sense selling through this advertising medium. Let me use my experience and my time to sell your products? For only $150, I will do all the work for you and post your advertisements, 3 times during commencent of your ad campaign over a 7 day period. You can easily spend $150 or more just going out to dinner. Give it a go and if you are in any way not satisfied with results versus outlay, then your worst case senario is $150. All my details are provided in contact us. Send me a message and I will contact you, or just give me a call at your convenience. genuinely cares about your business and it's success! When a Salesman either contacts you in person or by phone it's usually inconvenient or deemed as intrusive. Due to these circumstances it's hard to evaluate whether or not the product or service they are promoting is viable or not. Interceptive Marketing and Advertising will evaluate all propositions for you and only contact you if their is merit a proposition. 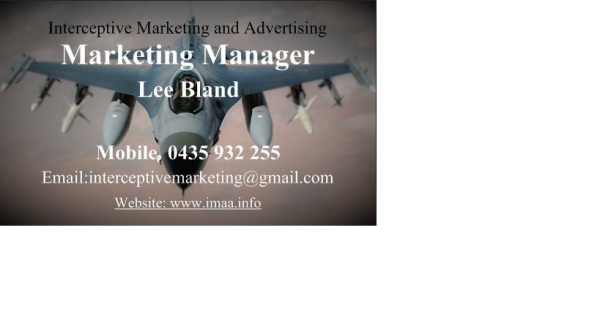 You will receive business cards entitled Marketing Manager, Lee Bland and my contact details to pass on the next time you are bombarded by these timewasting intrusions. 28 years of experience, theory and practical use of my abilities has enabled me to start Interceptive Marketing and Advertising. My first dozen Clients will receive my experience and help to really make their mark within this ever growing competitive market. $990 is all it will cost for a full 6 months of my services, include launching you and your service through free media and I will show you how to maintain customers and continue to get new ones. All I ask in return is, if you are completely happy with the service and the outcome provided? I will ask you to be one of my testomonial clients and continue to assist, support and advise you. We implement strategies that provide strong customer awareness of the products and services that you have to offer. We promote why your business should be their business of choice when considering your type of industry to spend their money. Remember, people are diligent shoppers with an array of means at their fingertips. We help you by implementing and showing you free and cost effective ways of getting new and existing customers contacting you more frequently in regards to enquiring about products and services. A healthy traffic flow of business also promotes word of mouth, consistency of income. One week of Advertising to promote your services, products etc. Whether it takes a few hours or a few days, taking photo's, writing copy, any costs that may be involved to run your Advertising Campaign will be taken care of by Interceptive Marketing and Advertising. You will receive Business Cards Entitled Marketing Manager, (displayed below is a copy of the Cards). You can either give the Card to intrusive Salespeople or simply pass on the number to invasive Telemarketers. This will enable you to concentrate on the job at hand. You will also receive our continued support and free advice for the full 6 (six) months service. On completion of your free Advertising Campaign, I will be in contact with you in regards to the results achieved. If everything goes as expected, I will ask you for a Business Testimonial, where I will also promote you on our Website. To see how this works, simply visit our Testimonials section displayed at the bottom of this page. If you, the Client have any promotional idea's in mind, we will be happy to advise you in the right direction. If you would like Interceptive Marketing and Advertising to handle it for you personally, you will receive 50% off any and all work carried out on your behalf. All of this for only $990. Simply type in your name and email address below and click Submit! It's that easy! I will call you and arrange to either meet with you in person or correspond via phone or email , whichever method you believe to be more beneficial at the time. An invoice will then be emailed to you and made payable into the account of Interceptive Marketing and Advertising before proceeding with the deployment of your new services. You'll have noticed I have used a Fighter Jet on the Website Home Page. 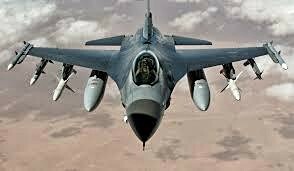 The use of this picture is to illustrate the purpose of a Fighter Jet. They are mostly deployed to investigate whether or not the intentions of others are worthy or not. If they are worthy, then talk takes place and both parties can benefit. If the intentions are not of this nature then appropriate action is taken. 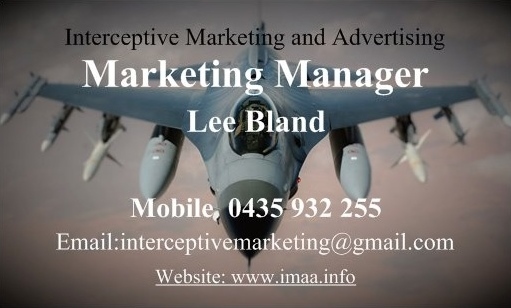 Interceptive Marketing will be your Co- Pilot of your own personalized Fighter Jet by Interceptiving your usually unwanted time wasting calls/visits, so you can concentrate on the day to day business activities whilst we maintain vigilance on your behalf. What you receive in return? You will receive Business Cards Entitled Marketing Manager, you can either give the Card to intrusive sales people or simply pass on the number to invasive telemarketers. This will enable you to concentrate on the job at hand. 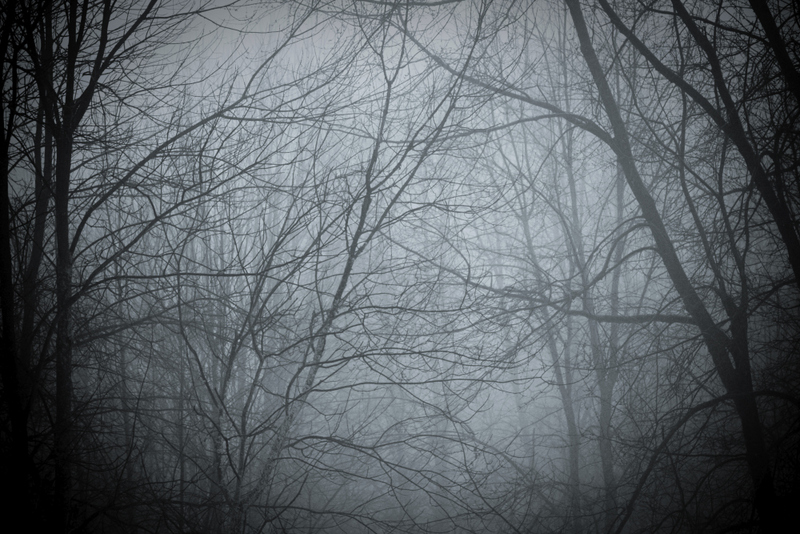 The mental anguish suffered during these intrusions can be both upsetting and and costly. This is when indecision is most prevelent in a business. No more added stress to burden you day in an day out. We will take the time and make the effort to insure that you will have the opportunity to take advantage of a good proposal or not be bothered by the bad ones. You will also receive our continued support and free advice for the full 6 months service. If you have any questions, please do not hesitate to email us and we'll get right back to you.